An Instructional Design portfolio can prove to be a great marketing tool if you know how to showcase your talents effectively. Here are 10 important tips for creating an impressive Instructional Design portfolio. In today’s digital era, it is important to have an online profile that helps you to market your services. Apart from helping you to showcase your work, an Instructional Design portfolio enables you to update your eLearning project samples. As a result, potential clients get an accurate idea of the breadth of your Instructional Design experience and skills. Building an Instructional Design portfolio might be an easy task but crafting it as a powerful marketing weapon is quite challenging. Below are 9 tips to create a stellar Instructional Design portfolio that will truly shine. There are a plethora of website builders and Content Management Systems that are at your disposal. However, you must understand the pros and cons of each of them before you zero in on the right portfolio tool. The tool must be easy to use and it must also provide rulers and grids that guide you through the designing process. Site security, availability of widgets, integration options and the feasibility of uploading dynamic portfolios are some of the other important factors. Use free trials and demos to evaluate each portfolio tool and find the right platform for your online presence. The last thing that an Instructional Designer wants to see is the client getting intimidated and confused due to intricate designs and unnecessary details showcased on the Instructional Design portfolio. Keep the design as simple as possible. Always remember that your clients will be judging your work based on its effectiveness in imparting learning to their online learners. Adopting a minimalist design and including easy-to-follow online instructions in your samples will make your eLearning content look more appealing to the clients. It is critical to keep the end user in mind while building your Instructional Design portfolio. Your work samples must appeal to the right audience. For instance, if you wish to market your services to an organization that has a huge Hispanic workforce, then your Instructional Design portfolio must include sample online training courses created in the Spanish language. Cultural nuances and differences have to be taken into account while pitching your Instructional Design portfolio to clients. If you have experience in designing eLearning courses for online learners with special needs, your Instructional Design portfolio must have eLearning project samples that corroborate your claims and expertise. Selecting the appropriate Instructional Design method is very important in developing an effective eLearning course, due to the fact that different online learners have different learning preferences. The samples posted on your Instructional Design portfolio must demonstrate your expertise in designing eLearning courses that cater to different types of learners. Make use of graphics, narrations, commentaries, simulations and practical hands-on exercises to demonstrate your ability to deliver eLearning courses in a variety of learning modes. It is important to let your prospective customers know about your subject matter expertise, as it will help you target the right audience. For example, an Instructional Designer who has experience in the airline industry will be in a better position to create online training courses for airport employees. An Instructional Designer who is a jack of all trades can showcase their flexibility through an Instructional Design portfolio that targets a wide range of business sectors. Every Instructional Designer has unique talents and abilities. It is critical that you understand your key strengths to sell your unique and specialized Instructional Designer skills. Have you been recognized for including simulation games in your eLearning course materials? Are you good at developing eLearning content that can be accessed through social media? Let your prospective clients know about the innovative ways in which you can serve them. Be professional and supplement the samples by adding titles and relevant description of the functional areas impacted by your Instructional Design project. Tell your prospects about the key business benefits achieved by your previous clients. It is a good idea to upload your resume and write a brief about yourself so that potential customers can understand your qualifications, such as how you relate your academic background and professional experiences to your job as an Instructional Designer. A prospective client who is impressed by your Instructional Design portfolio likes to gather as much knowledge as possible with regard to your work samples and eLearning projects. An easy-to-navigate Instructional Design portfolio helps the visitor to browse conveniently. As such, they can spend more time digging into your eLearning projects and work samples, instead of trying to figure out how to navigate throughout your Instructional Design portfolio. The positive browsing experience further reinforces the client’s motivation to hire you. Do your online samples contain evaluation techniques likes quizzes, questionnaires, tests or feedback forms? Every organization needs to evaluate the efficiency of their eLearning courses by using evaluation modules for eLearning assessment. Your online work samples should include post-course evaluation techniques that can obtain the online learners' feedback on various facets. For example, eLearning course structure, content, navigation, timing, interactivity and the multimedia used in the eLearning course delivery. Developing an eLearning course is teamwork and an Instructional Designer has to coordinate with various team members. This includes eLearning Project Managers, Subject Matter Experts and graphic designers. Your Instructional Design portfolio must have testimonials that demonstrate you as a problem solver, a team player and a great communicator. It must also talk about your ability to stick to the eLearning project timelines. Do not forget to list down the diverse tools and technologies that you have used in previous eLearning projects. Building an Instructional Design portfolio requires thorough planning. The above 10 tips will help you establish your unique identity on the Internet. Finally, it is important to remember that creating a brilliant Instructional Design portfolio is just the beginning of building a solid online presence. It is only your passion that will bring it to life. Getting started in an Instructional Design career will open you up to the exciting world of eLearning. 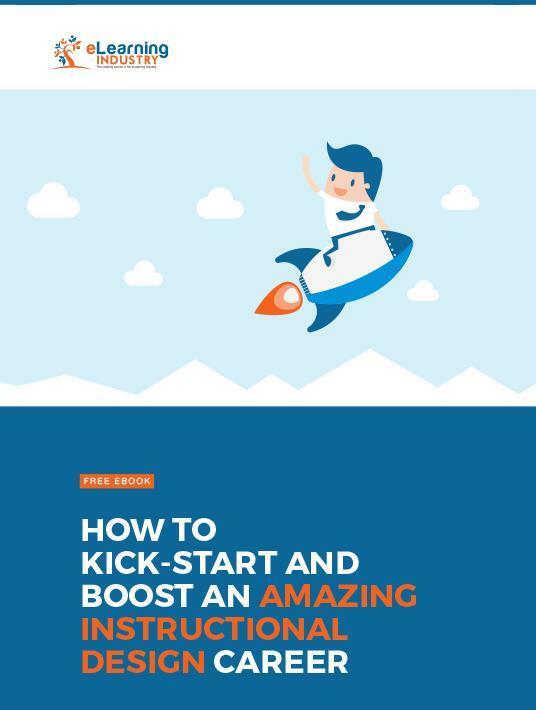 Download our free eBook How To Kick Start And Boost An Amazing Instructional Design Career to discover all tips for identifying and securing your Instructional Design dream job.